Edna/Jackson County - Lake Texana is located in the middle of Jackson County and is ideally suited for fresh water recreation and fishing. An abundance of fish, wildlife and water fowl make Lake Texana one of the best kept secrets in Texas for campers, picnickers, birders, boaters, sight-seers and fishermen. 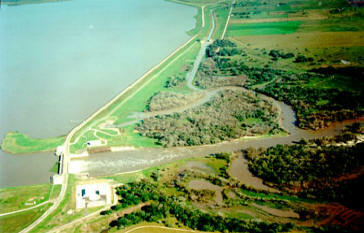 Fresh water catfish, Florida hybrid bass, crappie and bream will be found In Lake Texana.